It Is Fixed Appliance Repair takes service seriously. When you need appliance repair or installation in Alpharetta, you can depend on us for reliable service at affordable rates. Our customers rave about the quality of our work and courteous technicians, so you can feel confident when you book with us. First, you can expect to get a service call that works with your schedule. We book installation and repairs, in short, two-hour windows, so you’re not spending your day just waiting for the technician to arrive. We offer extended hours to make sure we can accommodate your needs. Our technicians are in the field from 7:00 A.M. to 7:00 P.M. Monday – Sunday, and you pay the same rate whether you book during the day, on a weekend, or after hours. Next, our skilled appliance repair specialist will inspect your appliance and provide you with an honest, no-surprises estimate for service. We offer a comprehensive 90-day warranty with every installation and repair. 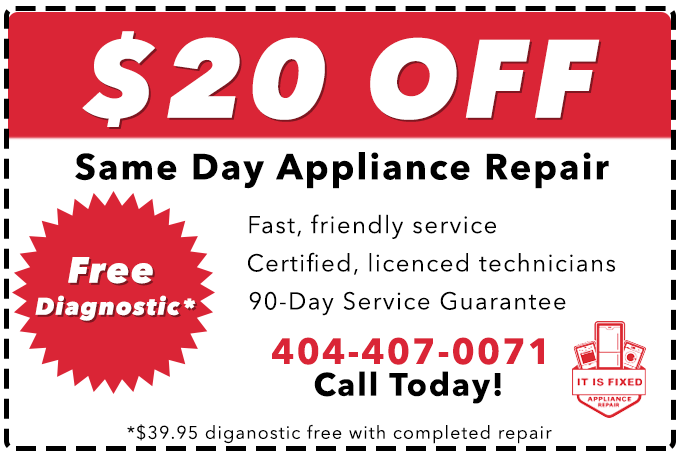 It doesn’t matter what brand or model your appliance is, It Is Fixed Appliance Repair technicians are the experts. Our skilled appliance repair specialists arrive on-time with the tools needed to complete your service quickly. Our experienced technicians are fully licensed, insured, and certified, so you can feel confident you’re getting the best technician for the job every time you call It Is Fixed. Our prices are competitive, both locally and nationally. We strive to keep your costs low, so an unexpected appliance repair doesn’t break your budget. We don’t charge for mileage, and if you choose not to move forward with a repair or installation after receiving an estimate, the service fee is only $39.95. If you do complete service with us, we waive the diagnostic fee. You can save even more money by booking online for a $20 discount. There are lots of great ways to spend your weekend. Hanging out at the Alpharetta Laundromat probably doesn’t make the list. That’s ok! 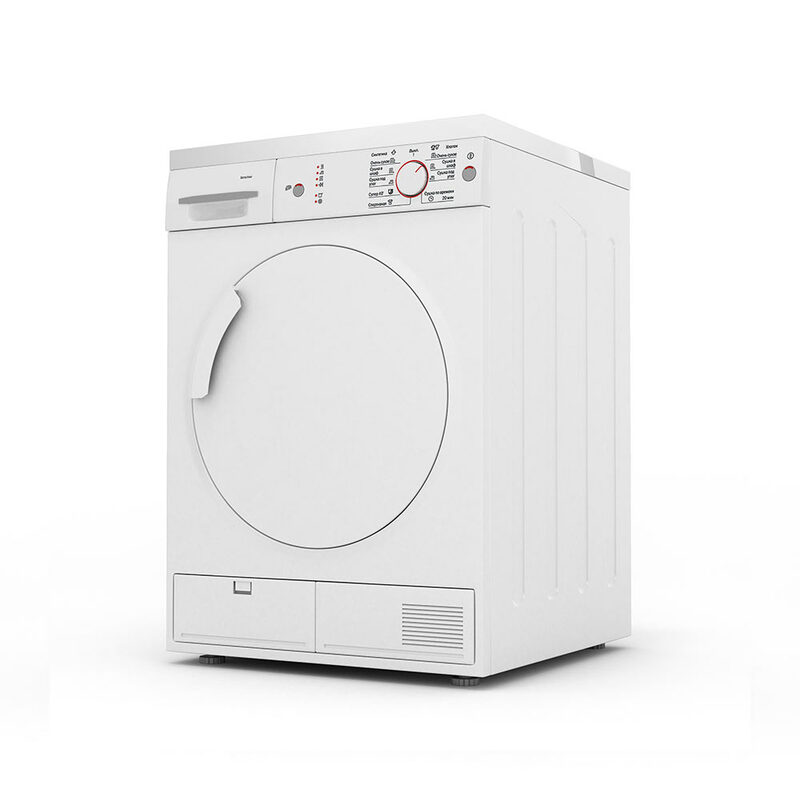 If you’ve got a washer that won’t drain, or worse, your washing machine is leaking, call It Is Fixed Appliance Repair. 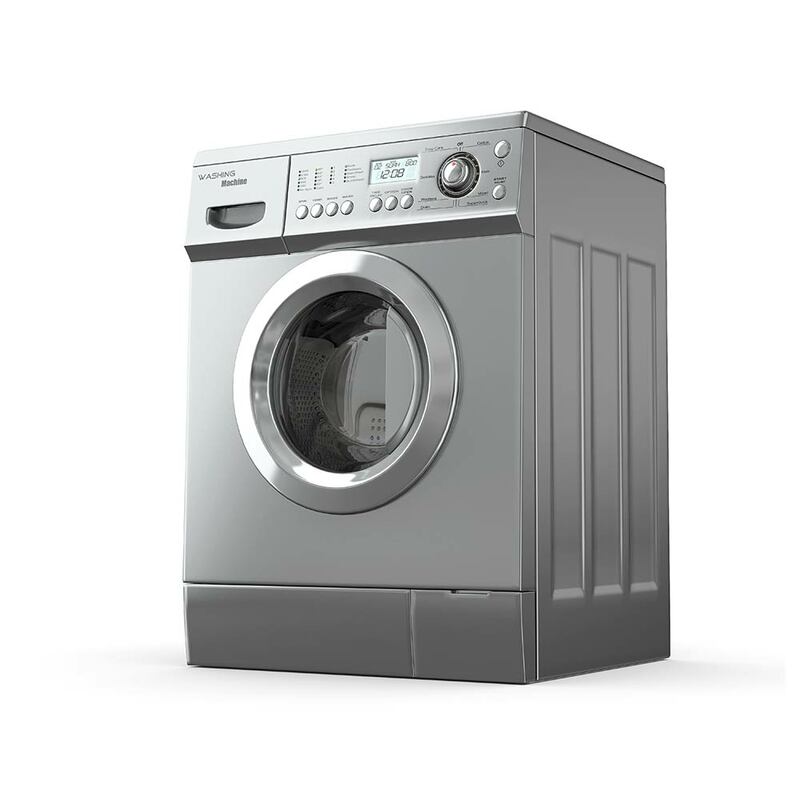 Our washing machine repair specialists are experts in all brands and models of washing machines. Getting error codes? We have the solution. Got a top-loading or front-loading washer that won’t spin? We can take care of that too! Washer repair can save hundreds, even thousands of dollars. Washing machines are one of the most expensive home appliances you can buy. Appliance repair can help you save time and money. The average cost of washing machine repair in Alpharetta is between $100 – $250. After your washer is fixed, we’ve put together an excellent guide to help you Win at Laundry. We have all our favorite laundry room tips and trick compiled into one monster guide. 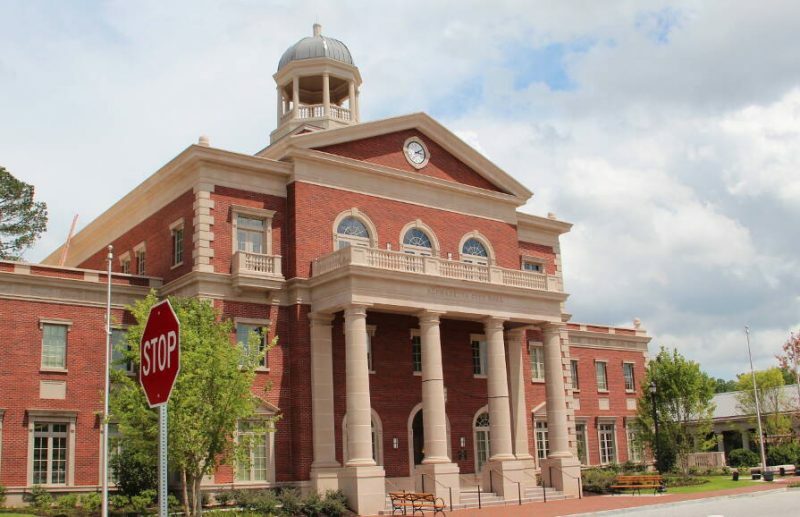 Among all the great things Georgia is famous for, there are a few not-so-great things. Atlanta traffic, anyone? Unpredictable weather and pollen can also be a bit of a problem. It may be sunny one minute and raining the next. Sometimes it is sunny and raining at the same time. In the spring, just wandering outside can change the shade of your clothes from any color to a greenish yellow that almost looks like it could glow in the dark. In these circumstances, it can be difficult, if not impossible to hang your clothes outside to dry. 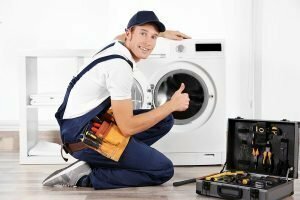 Fortunately, your friendly It Is Fixed Appliance Repair technician can come out on the same day you call us to get your dryer up and running again. If your dryer is making a weird noise, or if your dryer starts and stops for no reason, we can help. 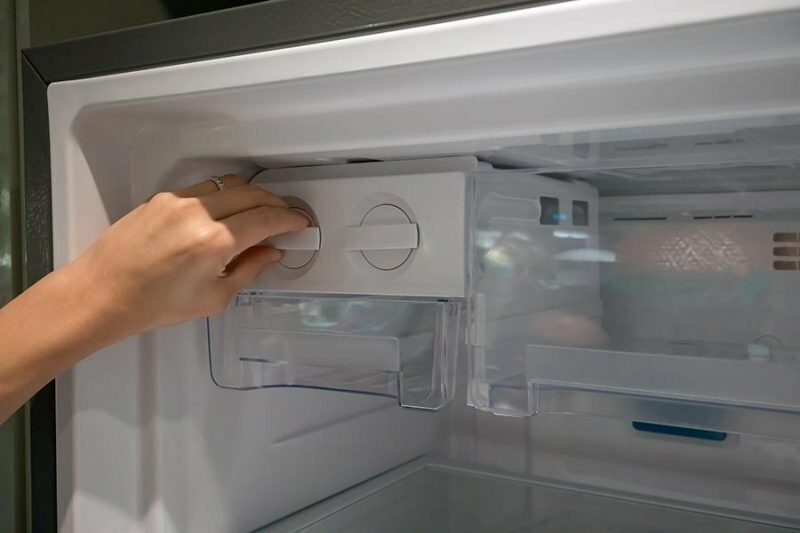 It’s always painful when any of your appliances break down, but when your refrigerator or freezer goes out, it can also be an expensive problem. The FDA says that food is only safe in a refrigerator for few hours once it stops cooling. If you notice that your refrigerator is not getting cold, keep the door closed and call It Is Fixed Appliance Repair. We repair all major brands and models of refrigerators. 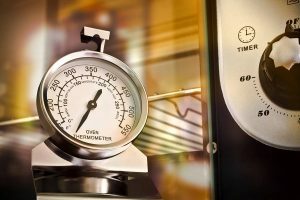 If you have an older fridge that needs a Freon charge, we can help with that too. We can solve almost any residential refrigeration issue you may have. If your beer cooler is on the fritz before the big game, or your stand-alone freezer has an iceberg inside, we can get it fixed and save you money in the process. Choosing to repair often cheaper than buying a new unit, and to make it even more affordable we have a guide with Easy Tips for Saving Money on Appliance Repair. Tip: It Is Fixed also repairs commercial refrigerators and freezers. Anyone who has experienced the healing properties of a freshly baked pan of cookies can attest to the importance of having a working oven in the home. A broken oven is more than a dinner disruption. It can be a safety hazard if your oven is smoking or smells like gas. Whether you have a gas, or electric, freestanding or wall-mounted oven, we can get it repaired. It Is Fixed Appliance Repair technicians are well-versed in repairing all styles of cooktops and stove. If you have a gas range that won’t light, or even just a single burner that won’t get hot, we can take care of the issue. Our technicians are also equipped to handle high-priority issues like a stove that smells like gas, or a burner that won’t turn off. Whether you have the standard coil burner stove or a high-end island-mounted gas range, contact It Is Fixed for all your stove repair needs. Lots of people like to cook, but not many enjoy dealing with the aftermath. Fortunately, we have dishwashers to deal with the dirty work — that is if they’re working. If your dishwasher is on the fritz, you may be forced to spend your time washing dishes instead of something else more fun and rewarding. We have good news. It Is Fixed won’t make you wait to get your dishwasher repaired. In most cases, we can have a dishwasher repair specialist out on the same day you request an appointment. Remember, the best way to avoid dishpan hands is never to have to wash the dishes. One thing college dorms and office break rooms will almost always have in common is a microwave. It’s for a good reason. Microwaves are fast, convenient, and inexpensive. Much like service with It Is Fixed Appliance Repair. If your microwave stops heating, don’t put it in the dumpster. Our technicians can repair most microwave issues, saving not only your wallet but the environment as well. Call It Is Fixed for quick microwave repair today! Regular maintenance is an essential part of keeping your washing machine in good working order. Keep your washer mold and mildew free, prevent expensive repairs, and add years to it usable lifespan with the following washing machine maintenance guide to help you. It can be worrisome if your stove sets the smoke alarm off for no reason, there are many things can cause your stove to smoke besides leaving the roast in for too long. Fortunately, not all of those cases are dangerous. If your stove is doing double duty as a smoker, the following troubleshooting guide can help to find and resolve the issue. 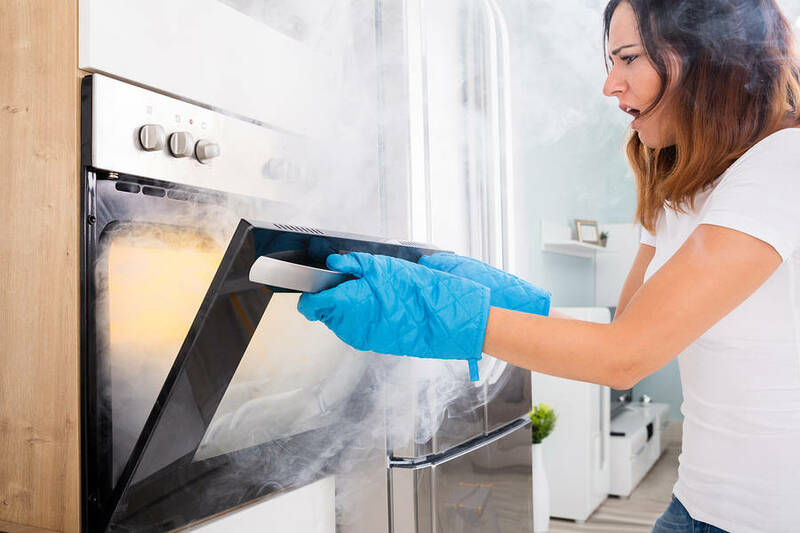 If your oven is not getting hot or not reaching the expected temperature, it is tough to properly prepare a meal and under-cooked food can be very dangerous. The following troubleshooting steps can help you locate the issue and find the best solution. Called It Is Fixed to repair an older model built in microwave. The work they performed was quick and cost-effective. Very professional and friendly team. Immediately engaged them for another project.